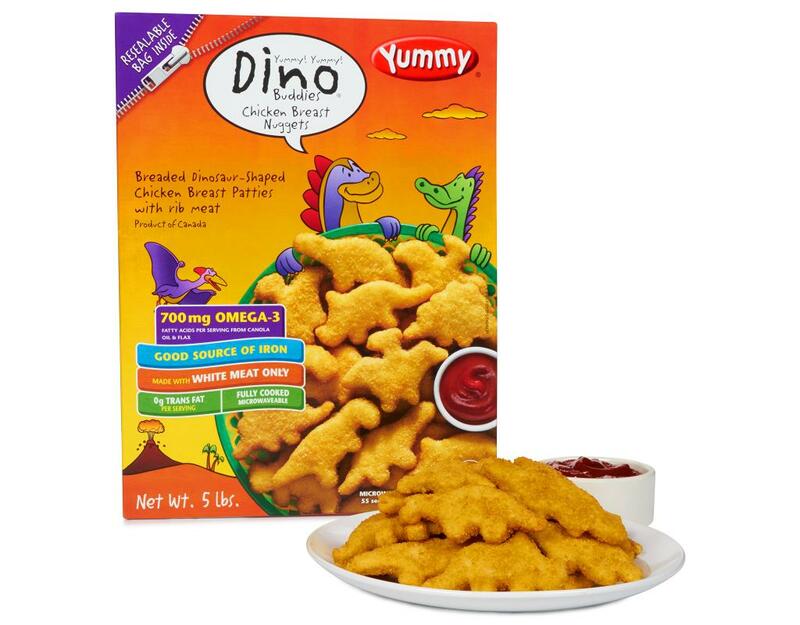 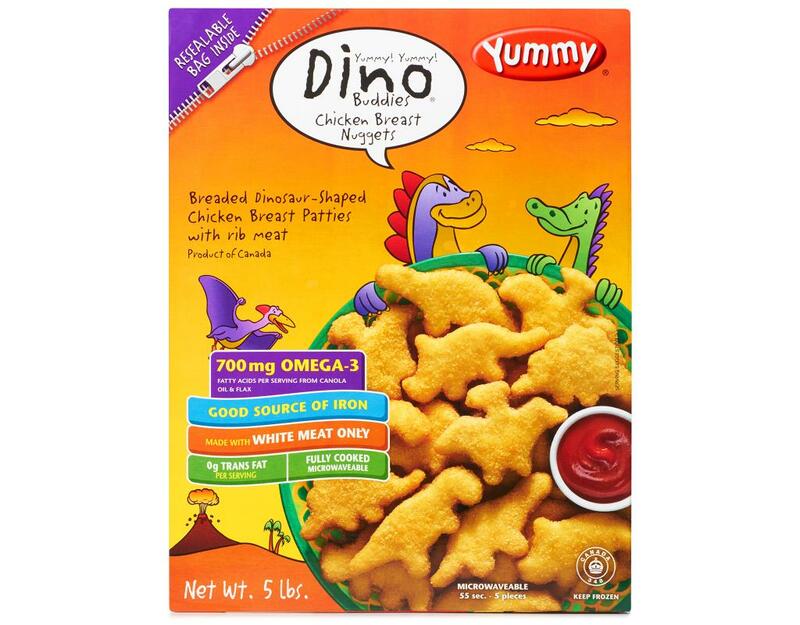 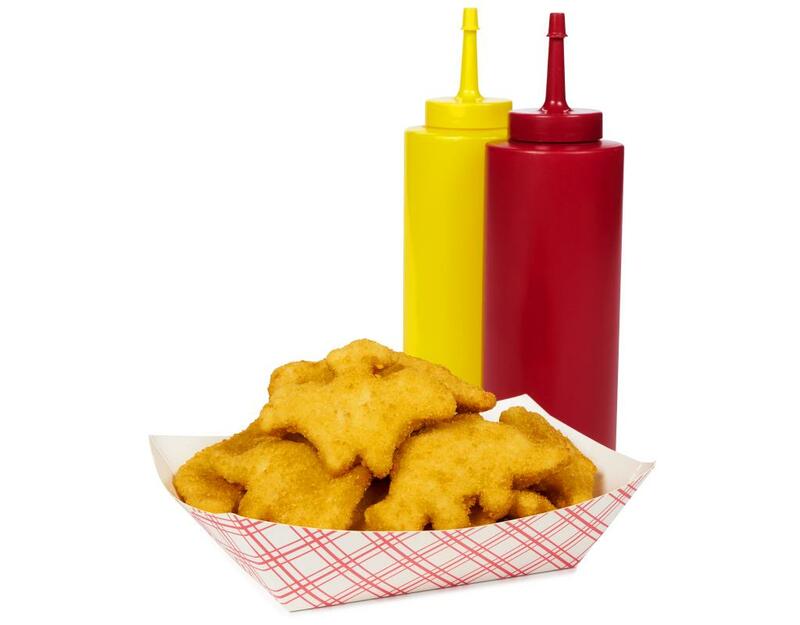 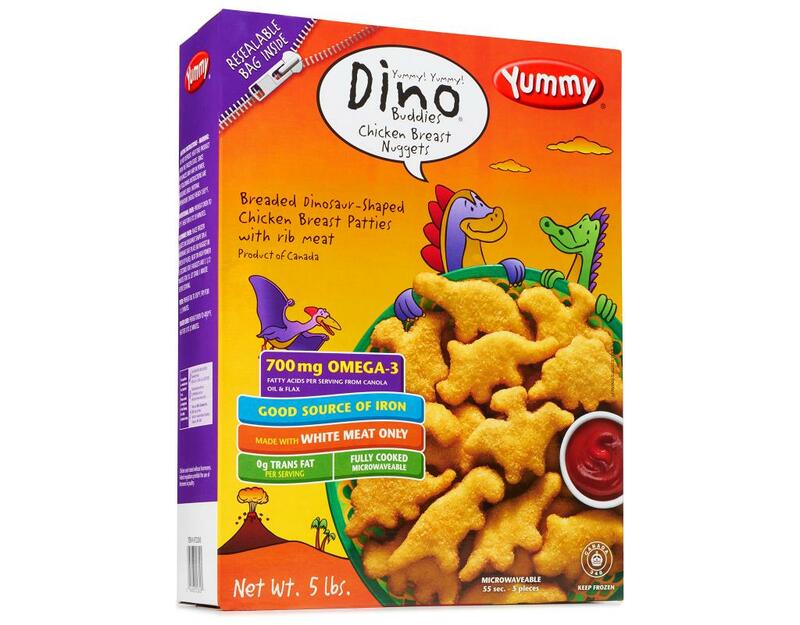 Put some fun in your child's plate by making Yummy Dino Buddies the main attraction of a complete balanced meal. Boneless Skinless Chicken Breast With Rib Meat, Water, Enriched And/Or Bleached Wheat Flour (Niacin (Vitamin B3), Reduced Iron, Thiamine Mononitrate (Vitamin B1), Riboflavin (Vitamin B2), Folic Acid), Yellow Corn Flour. 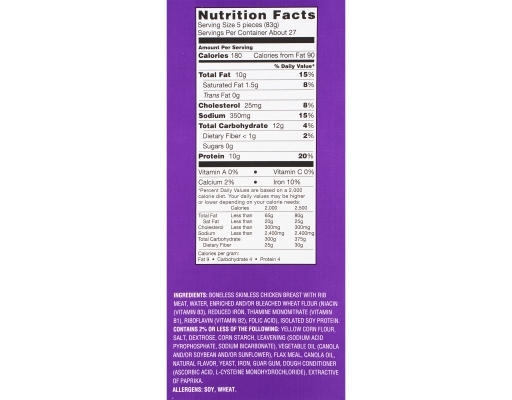 Contains 2% Or Less Of The Following: Isolated Soy Protein, Calcium Carbonate, Salt, Corn Starch, Dextrose, Leavening (Sodium Acid Pyrophosphate, Sodium Bicarbonate), Vegetable Oil (Canola And/Or Soybean And/Or Sunflower), Canola Oil, Flax Meal, Natural Flavor, Yeast, Guar Gum, Iron, Dough Conditioner (Ascorbic Acid, L-Cysteine Monohydrochloride). Allergens: Soy, Wheat.